Taking you to remote and often hard-to-access destinations on the Grand Canyon, this Jeep tour drives right through the South Rim via Desert View Drive. 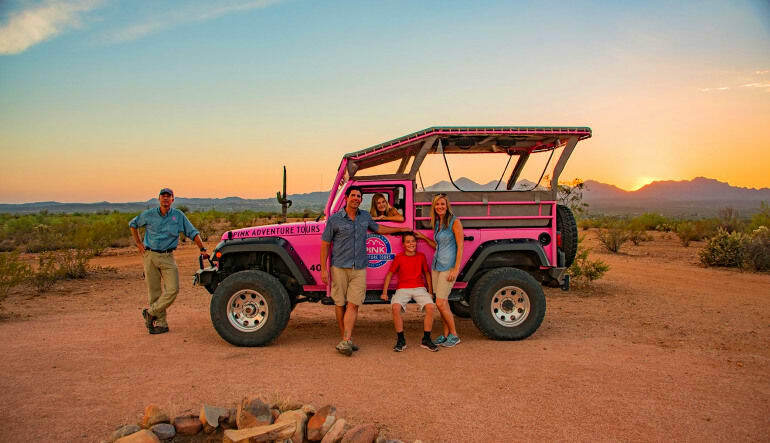 Taking you to remote and often hard-to-access destinations on the Grand Canyon, this Jeep tour drives right through the South Rim via Desert View Drive. No need to wait on shuttles and be stuck in huge crowds; this modified vehicle lets you experience it all in comfort and the open air. There are countless scenic stops along the way, which means you’ll have plenty of opportunities to stretch your legs! 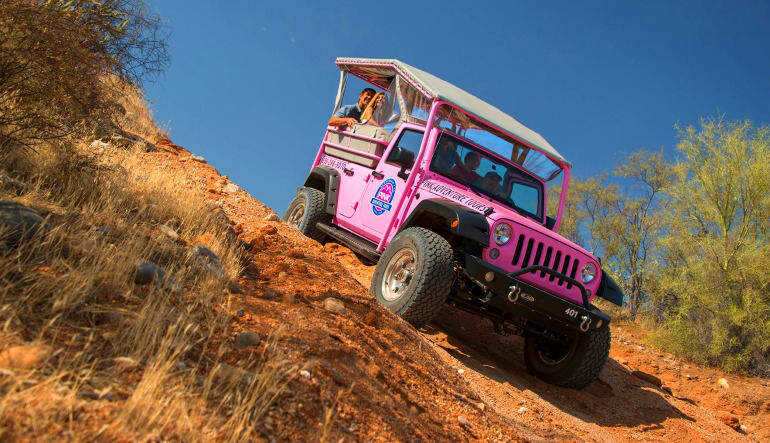 Enjoy a 3-hour Grand Canyon Jeep tour! Travel Desert View Drive 25-miles deep into the East Rim. 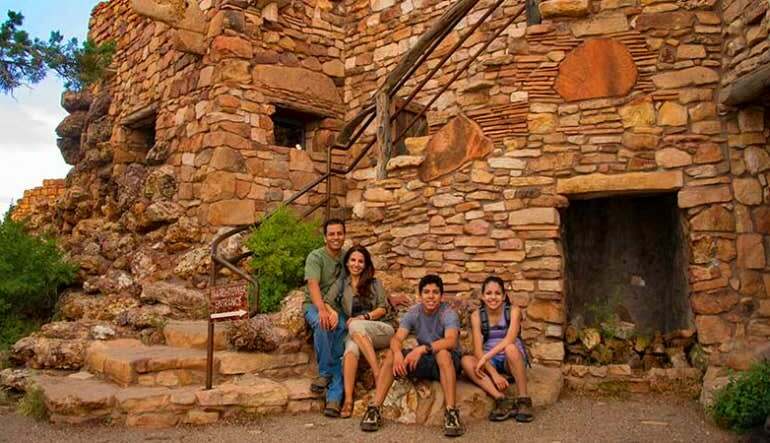 Learn all about the Hopi tribe who made the Canyon home many moons ago. Next stop is Navajo Point, which is a spectacular 7,500 feet above the ground. Enjoy first-rate views of the Colorado River’s “Big Bend”! Stare 2,000 feet down to the Escalante and Cardenas Buttes. 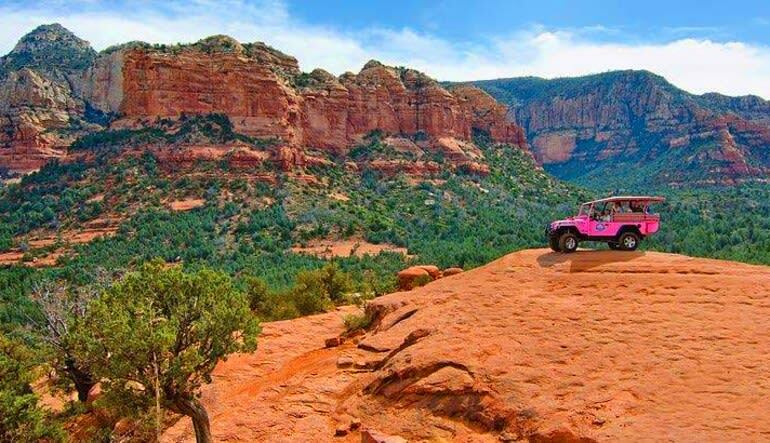 Continue to Lipan Point where your Jeep climbs 80 feet to an exquisite lookout! From there, it’s onto the 70-foot tall Desert View Watchtower. Step inside and appreciate the stunning murals commissioned by Hopi artist Fred Kabotie. 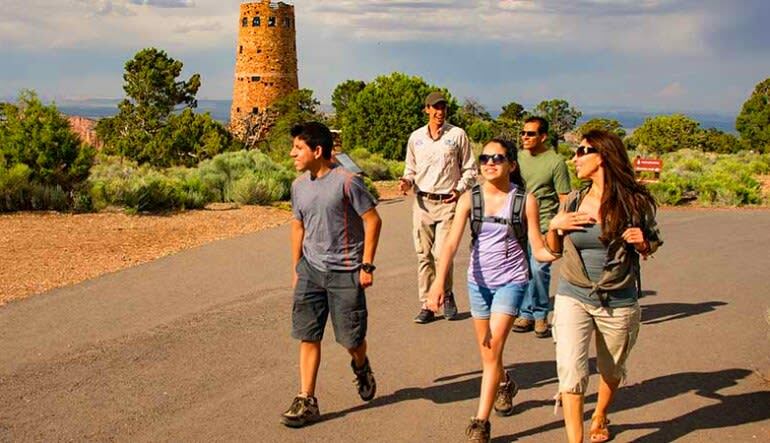 Finally, arrive at Moran Point, one of the most popular lookouts on the Grand Canyon. 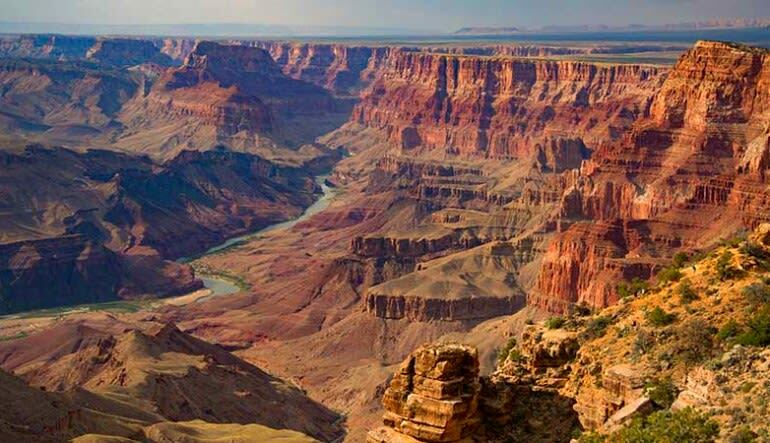 After the adventure, enjoy an IMAX presentation of “Grand Canyon: The Hidden Secrets”! You’ll also have plenty of opportunities to learn—let your skilled and friendly driver capture your imagination with tall tales and amazing Canyon facts! Book your adventure now!